Under the Americans with Disabilities Act (ADA), employers are forbidden from discriminating against employees on the basis of disability. 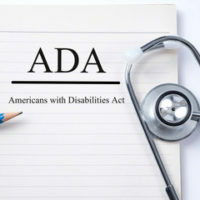 The ADA defines a disability as “a physical or mental impairment that substantially limits one or more of the major life activities of an individual.” Under the ADA, employers are also required to provide employees with reasonable accommodations for their disability. Once an employee seeks a reasonable accommodation for his or her disability, employers are obligated to make reasonable efforts to determine and provide the appropriate accommodation. Read on to learn more about an employer that refuses to accommodate an employee. Having extensive experience representing employees who have been subjected to disability discrimination, our Citrus County, Florida disability discrimination attorneys have learned that employers frequently resist providing employees with a reasonable accommodation. Instead of making a good faith effort to seek accommodations, employers often seek to obstruct and delay requests by employees for a reasonable accommodation. Employers sometimes even refuse to discuss potential accommodations with employees, including accommodations that might enable employees to continue working. The decision by the U.S. Sixth Circuit Court of Appeals in Hurtt v. International Services, Inc., No. 14-1824 (6th Cir. 2015) is illustrative of an employer’s resistance to providing an employee with a reasonable accommodation. In that case, Robert Hurtt (Hurtt) claimed that his former employer, International Services, Inc. (ISI), discriminated against him on the basis of disability in violation of the ADA. Hurtt was employed by ISI as a business analyst. ISI provides management and tax consulting services to businesses. Hurtt’s position required him to travel to various business locations to convince the business to purchase a “survey” from a senior business consultant. In essence, Hurtt’s job was that of a traveling salesperson. When hiring him, ISI agreed to give Hurtt a twelve percent commission, a $70,000 per year “draw,” pre-paid work-related flights, hotels, car rentals, and a $40 per diem for food during his travels. According to Hurtt, the $70,000 draw meant that if he made commission income above $70,000, he would keep the difference, but if he made less than $70,000, he would not have to repay the $70,000. Hurtt further claimed that ISI also agreed to give him a four-day work week, with two assignments per week. Hurtt claimed that after he requested time off for sleep and a four-hour work week, ISI threatened to take away his draw. According to Hurtt, he communicated with Brewer “over and over again” about his need for down-time between assignments. Hurtt testified that he asked Brewer on an “almost weekly basis” about “going back to the original agreement of the four-day work week” so that he had “adequate time to recoup” and sleep, to no avail. Hurtt did not report to work on September 5. Hurtt requested that he be allowed to “continue to do the same job under the same compensation agreement” in place before his leave of absence from work. Hurtt testified that the new compensation and travel arrangements made it impossible for him to return. Hurtt continued to communicate with Brewer about his need for the $70,000 draw. On September 18, Hurtt notified ISI that he would not be returning to work. In his ADA lawsuit, Hurtt claimed that that he was constructively discharged because his working conditions become intolerable due to ISI’s failure to reasonably accommodate his disability. The trial court dismissed Hurtt’s disability discrimination claim. In doing so, the trial court found that Hurtt could not establish that he suffered an adverse employment action within the meaning of the ADA because he voluntarily quit. On appeal, the Sixth Circuit reversed the trial court’s decision and reinstated Hurtt’s disability discrimination claim. At the outset of its opinion, the Sixth Circuit condemned the trial court for an “analysis of Hurtt’s disability discrimination claim [that] was cursory at best.” The appellate court further found that the trial court ignored well-established precedent that a constructive discharge constitutes an adverse employment action for purposes of the ADA. Indeed, the court of appeals explained, courts have repeatedly held that an employee may establish an adverse employment action by demonstrating that he or she was constructively discharged. Based in Ocala, Florida and representing employees throughout Central Florida, we have almost twenty years of experience representing employees who have been discriminated against on the basis of disability. If you have been the victim of disability discrimination or have questions about an employer’s failure to accommodate your disability, please contact our office for a free consultation with out Citrus County, Florida disability discrimination attorneys. Our employee rights law firm takes disability discrimination cases on a contingency fee basis. This means that there are no attorney’s fees incurred unless there is a recovery and our attorney’s fees come solely from the monetary award that you recover.